Former President Olusegun Obasanjo has showered praises on late Gani Fawehinmi, lawyer and activist, who was a thorn in the flesh of successive administrations in Nigeria, describing him as one of the most genuine politico-social critics in the history of the country. Mr. Obasanjo was effusive in his praise of Mr. Fawehinmi just as he lampooned Nobel Laureate, Wole Soyinka, and Senator Uche Chukwumerije, describing them as self-serving activists. 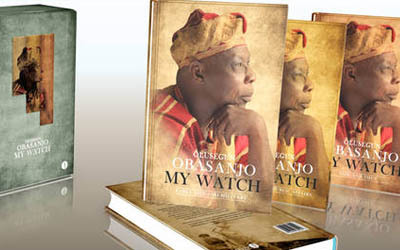 Writing in his new autobiography, My Watch, the former president said the late Senior Advocate of Nigeria was not just a critic of his government, but was also the counsel to his ex-wife, Remi, during the couple’s messy divorce. Mr. Obasanjo also commended Mr. Gani for always speaking up when everyone else was silent, especially on matters of injustice. He alleged that his ex-wife, Remi, sought the services of Mr. Fawehinmi in order to scandalize him as a senior military officer and a minister in government, but that he (Obasanjo) equally secured Mr. Fawehinmi’s match in Kehinde Sofola. “But that issue did not diminish my respect for Gani,” he said. Mr. Obasanjo described Mr. Fawehinmi as an advocate for the poor and the oppressed. He said the vacuum left by the late legal luminary was yet to be filled in Nigeria. Mr. Fawehinmi died on September 5, 2009, after a prolonged battle with lung cancer. He was 71. 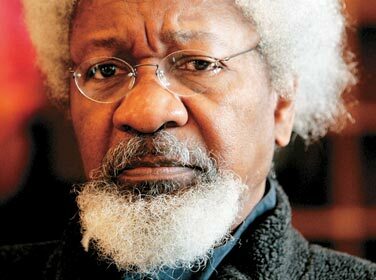 On the other hand, Mr. Obasanjo described the nation’s only Nobel laureate, Wole Soyinka, as “a self-serving critic” who always loved to take the lead on all matters. Mr. Obasanjo said he found the Professor of Literature “a misfit as a political analyst, commentator or critic,” adding that it was good that Mr. Soyinka did not go into politics. He, however, noted that the Nobel laureate appeared to have ‘mellowed’ down since turning 80 recently. 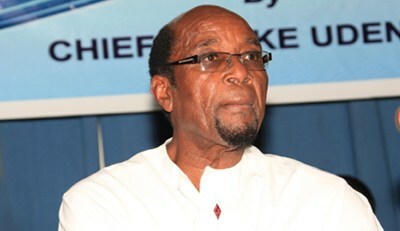 On Mr. Chukwumerije, Mr. Obasanjo said the senator as a younger person used to be sincere, fearless and uncompromising but as he grew older and the reality of life dawned on him with the weight of family responsibility “his pen, if not his mouth, gradually blunted and the fire in him started to dim”. Mr. Obasanjo also said it then became easy to sway the once fiery, obstinate critic and he became a tool of whoever needed to use him. He added that by joining politics, Mr. Chukwumerije sacrificed not only the “fire” in him, but also the “brand,” adding that the real Mr. Chukwumerije that was known in the past was gone.